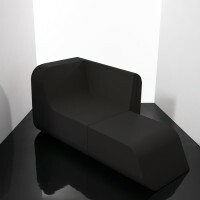 Kitmen Keung designed the Dual Cut Foam Block collection for Belgian manufacturer SIXINCH. 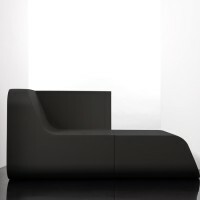 Splitting a raw rectangular foam block with only two L-shaped cut lines, Dual Cut is a transformable furniture piece that employs the simplest production processes true to the materials in use with minimal wastage. It features two ergonomically comfortable seat back angle options of 6° and 23°, and the multi-formation ability to form a one seater with a side table, a chaise lounge or a corner table. 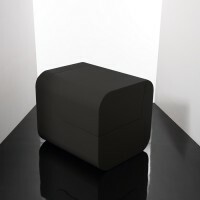 It also easily forms a neat, compact parcel for convenient storage and transportation. Dual Cut is available in Light Grey and Dark Grey with a 3-layer-system coating making it suitable for both indoor and outdoor use. 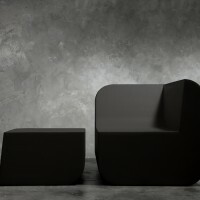 Dimensions: stacked, w80 x h80 x d93cm; chaise lounge, w80 x h80 x d170cm; ottoman, w80 x h40 x d77cm; seat height 40cm. Visit Kitmen Keung’s website – here. Visit the SIXINCH website – here.